This piece was made from a piece from a Cottonwood Tree from the Black Hills. 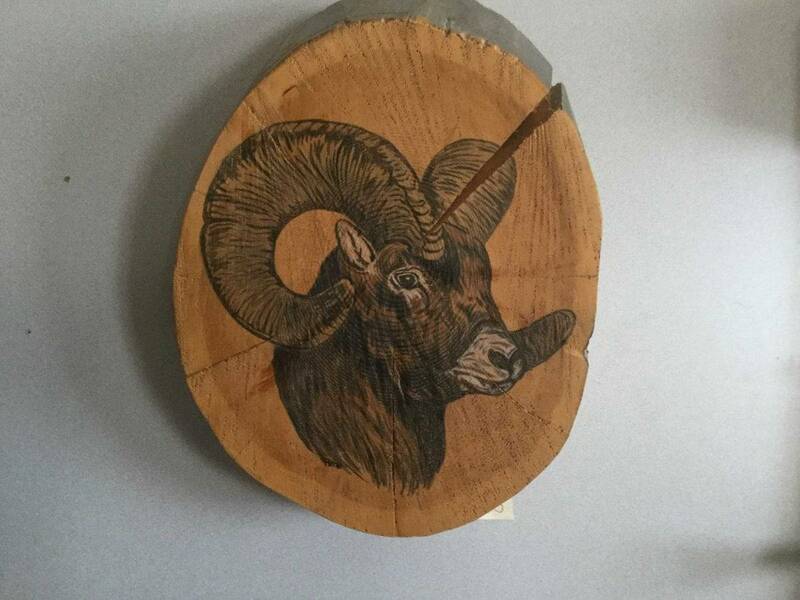 We drew a picture of a Big Horn Sheep on it using watercolor pencils and then put 3 coats of polyurethane on it. Ready to hang in your rustic retreat.